Burger Fusion voted "Best Burger" in La Crosse for four years in a row ! 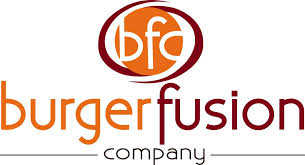 Burger Fusion Company was created to elevate the burger dining experience. We specialize in gourmet burgers, signature grilled cheese sandwiches, roast beef sandwiches and sundaes - all served in a fun, friendly atmosphere. Every dish is made-to-order and our unique menu features fresh, regional and local ingredients and craft beers. BFC is a great place to meet friends for quality food, exceptional service and superior value. We are located at two convenient locations: Valley View Mall (in Onalaska) and Downtown La Crosse (at the Holiday Inn). At Valley View Mall we anchor the food court � but don't be fooled. We're not the average food court restaurant. Our creative menu and high standards are still in place. The Downtown La Crosse location (in the Holiday Inn) offers a breakfast buffet every day of the week and has ten beers on tap, a wine list and full-service bar. Certificate valid at both Valley View & Pearl Street locations.